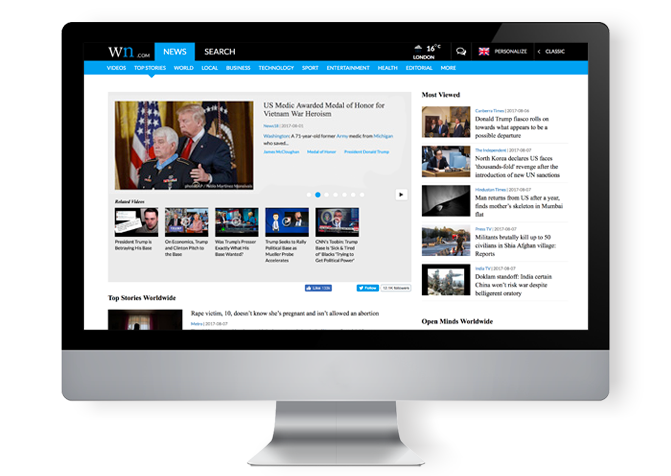 WN Network are an online news publisher, they were one of the first news aggregation companies on the internet, launching their site in 1998. Now their site has over 10 Million Unique Visits per month, they wanted to improve the user experience, dropping bounce rates and increasing member registrations. 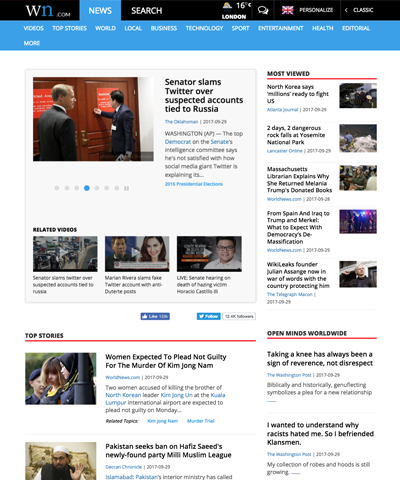 When users visited WN.com and clicked across the various categories and news stories, they were presented with several different WN logos and navigation menus. After using on-site analysis tools and surveys we found the existing site to be confusing and slow, it wasn't clear that the sub pages were all part of WN. We sat down with WN's founder and identified the core uses for their site and their customers. We prepared a new header and brand guidelines that were modern and matched the personality and profile of the company. 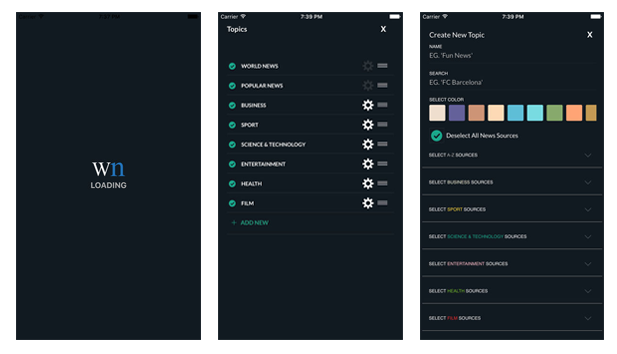 As part of the drive to reinvigorate WN and make it competitive in the industry we designed a state of the art mobile news app where users can find all the news available on WN.com and customise it, sorting by topics and their own custom search strings.